Dina Powell, head of philanthropic investing at Goldman, will be Trump's economic assistant. Steven Mnunchin, former partner at the firm, will be Treasury secretary. Gary Cohn, former Goldman Sachs President, was named to the top White House economic post. Stephen Bannon, former M&A banker, will be chief strategist. Jay Clayton, who advised Goldman during the recession, was nominated as SEC chairman. Anthony Scaramucci, who began his career at Goldman, will be Trump's top advisor and White House liaison. 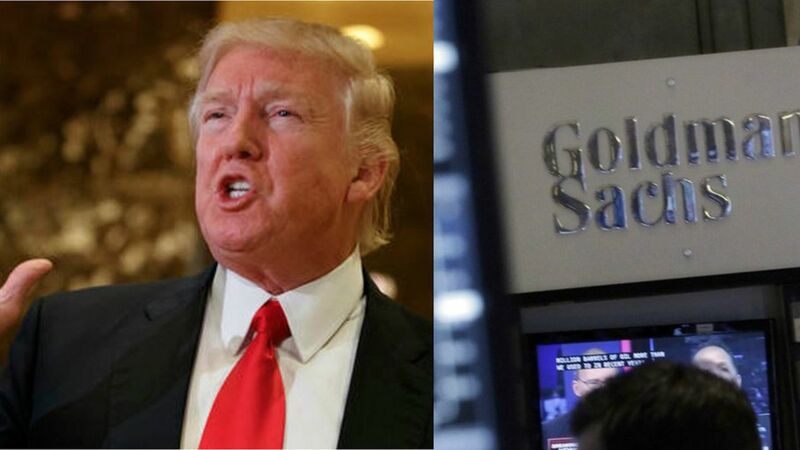 Trump's election win has also helped bolster Goldman shares, which have flirted with an all-time high as investors anticipate laxer financial regulation, lower taxes and pro-growth policies, according to the WSJ.